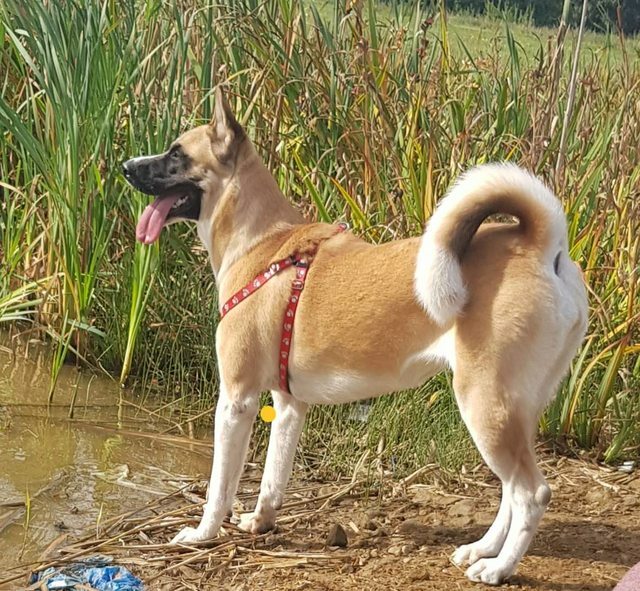 Luna is a 11 month old female Akita Cross. Luna is a gorgeous bundle of excitement and joy. 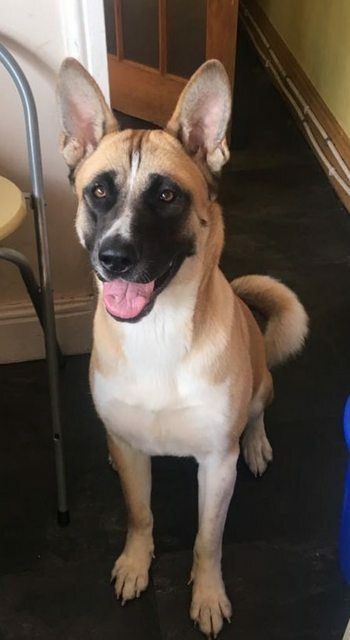 An Akita crossbreed at 11 months old, she is affectionate and wants to engage. Friendly and playful, she would benefit from an active household which is prepared to spend time training her. Luna is house trained with an alert and intelligent nature. She will no doubt learn fast. While she has no reported food guarding issues, she is very bouncy and active. She will pull on the lead and as such would definitely benefit from a firm but loving environment. Luna does not get on with the small dog in the home, so any interaction with small dogs will need to be supervised. She may potentially live with a laid back male of similar size although this will need to be monitored further. Due to her boisterous nature, it would be preferable that she goes to a home without small children. Luna would suit a household that likes being up and about. If you have the time and energy to share your life, time and all its adventures with a 4 legged furry ball of love and loyalty, Luna is your gal. She is currently based in Lincolnshire.